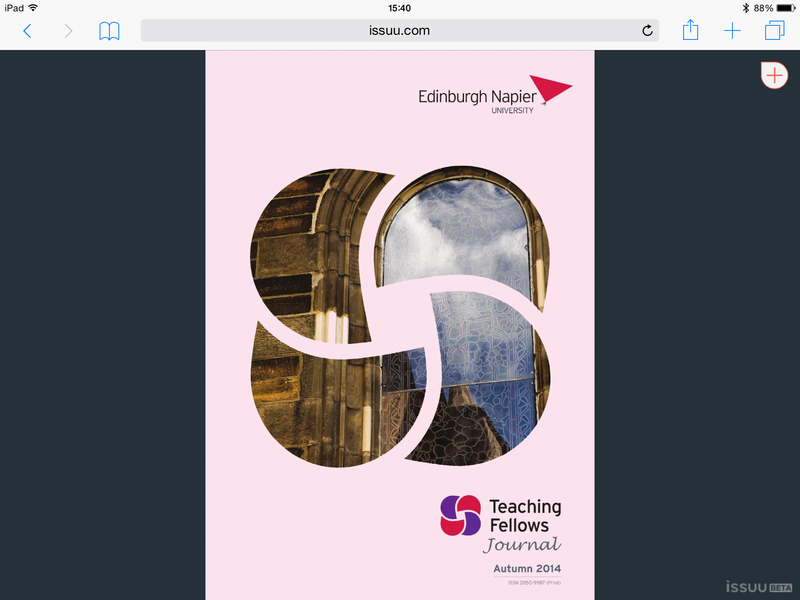 The Autumn Issue of tfj online. As an MSc Publishing student with little or no experience in the industry, I was pleased to discover an opportunity to assist at the Teaching Fellows Journal within a few weeks of starting the course. Never ones to shy away from being thrown in at the deep end, myself [Rhiannon] and Alessia were given a template for the magazine, a long list of articles, some pictures and a deadline! 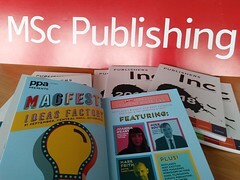 The 2014 Autumn issue was enjoyable and challenging. It was important for us to maintain the look and quality of the tfj to provide an issue of the magazine that would fit seamlessly into the back catalogue. When we started, we had not worked with house styles and had only managed a couple of Creative Toolkit sessions in the weeks prior to starting. 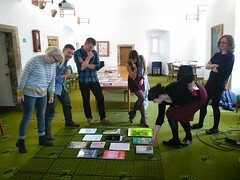 Learning how the magazine is put together, liaising with a variety of external sources, choosing between a plethora of delightful images and writing by all the contributors, all made for a complete learning experience as we worked towards the deadline. As students, we were confronted with the difficulties of being in several places at once whilst managing our time effectively between lectures, tutorials, assessments and the placement. Thankfully we were well enough equipped on the course to be able to work remotely and request advice from tutors where the technicalities of software may have otherwise defeated us! A crash course in layouts, proofreading and InDesign, this early placement was valuable and insightful. As we reach the end of semester two, it is interesting to reflect on the publication and think about how our approach may have differed with the additional knowledge we have attained. It was great to have a placement so early on and it’s a great way to exercise some of those early skills and develop relationships within the University. Next Next post: Meet Dr. Murray Collins… a real life adventurer!